Cork Bowls by Alain Monnens come in sizes ranging from S to XL - XL being my favorite. 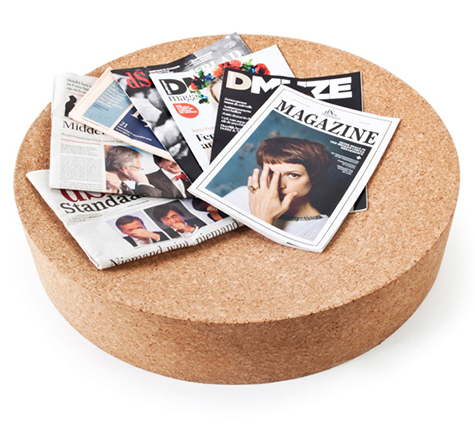 Who wouldn't want a giant cork coffee table? Knee and running children no longer have anything to fear. Hey your computer is fixed! Rock on - more pretty things. Thankfully, Apple fixed the logicboard for $300, which on a 6 year old MacBook Pro is not a bad deal. Thanks!